The vast majority of Arab, Iraqi people began migrating to North America in the past twenty years due to conflict and war in their homeland. Due to many having refugee status and a lack of helpful aide it is difficult for them to access health care or other public services, even providing school uniforms and books for children is often difficult. Due also to the brutality that has occurred in Iraq over the recent decades there are many people who are traumatized emotionally. Generally Arab, Iraqis are employed in positions of sales, business, or construction. They are more often than not hard working and very hospitable. They also are generally devout Muslims and are tend to mingle only among themselves. Nevertheless, they are friendly and are even very willing to talk about religious things. The various people groups from Iraq form one of the largest diasporas in the world. The Iraqi diaspora is not a sudden exodus but one that has grown rapidly through the 20th century as each generation faced some form of radical transition or political conflict. From 1950 to 1952 Iraq saw a great exodus of roughly 120,000 - 130,000 of its Jewish population under the Israel-led "Operation Ezra and Nehemiah". There were at least two large waves of expatriation of both Christians and Muslims alike. A great number of Iraqis left the country during the regime of Saddam Hussein and large numbers have left during the Second Gulf War and its aftermath. The United Nations estimates that roughly 40% of Iraq's remaining and formerly strong middle-class have fled the country following the U.S.-led invasion in 2003. Pray that God would give boldness to Christians to talk with the Arab, Iraqi people. Pray that God would continue to provide for their material and physical needs. 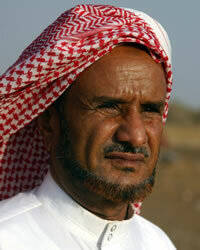 Pray that God would send evangelical Christians into the harvest field of Arab, Iraqi. Pray that God would show the Arab, Iraqi people of their need for a God who is both ultimate and intimate. Displaying 1-30 of 46 results.